Pattern mixing is a bold sartorial statement that has been trending recently. 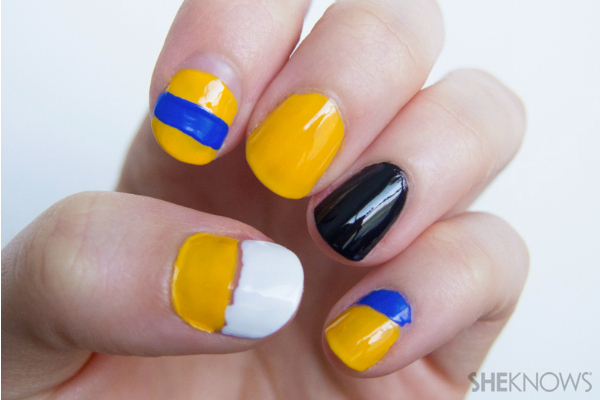 One way to break into this trend without it being too in-your-face is taking the trend to your nails. 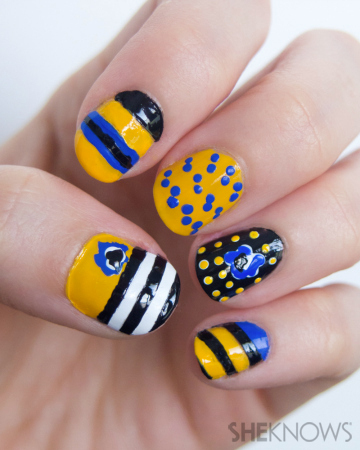 Using white, black, yellow and blue to make stripes and floral patterns, this design is inspired by Prabal Gurung’s Resort 2014 show. Using everything but blue, plan your design and paint your base coats accordingly. 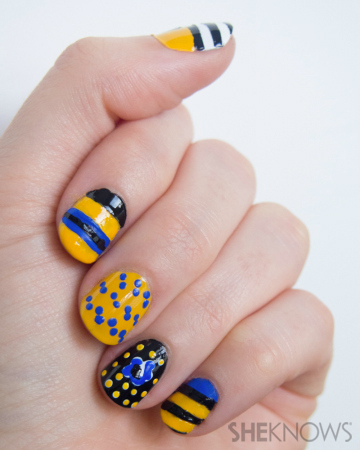 Add some blue stripes to the horizontal and diagonal striped nails. Put a splotch of blue on the yellow part of the thumbnail (which will be a flower). 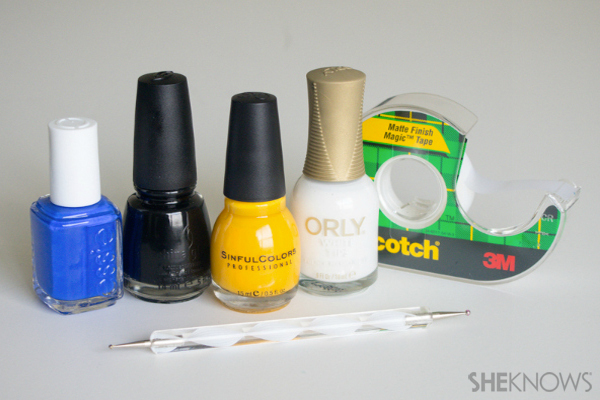 With the dotting tool, make a double-dot stripe pattern on the solid yellow nail. 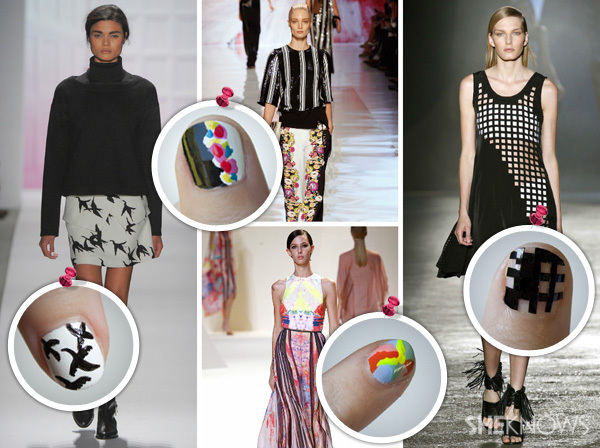 On your black nail, make a white flower shape in the middle and then surround it with a small white dot grid. 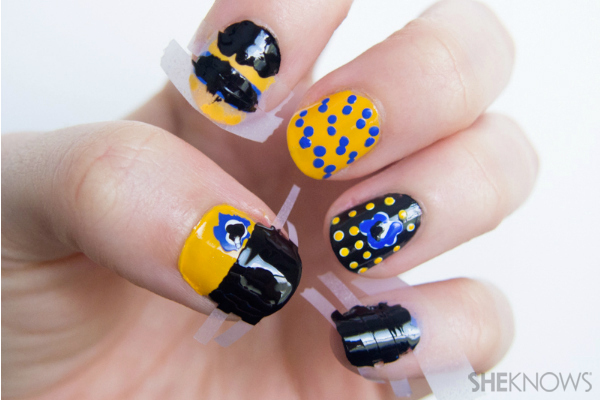 Think of where you want your black stripes to go and tape off accordingly. Paint the un-taped parts black. 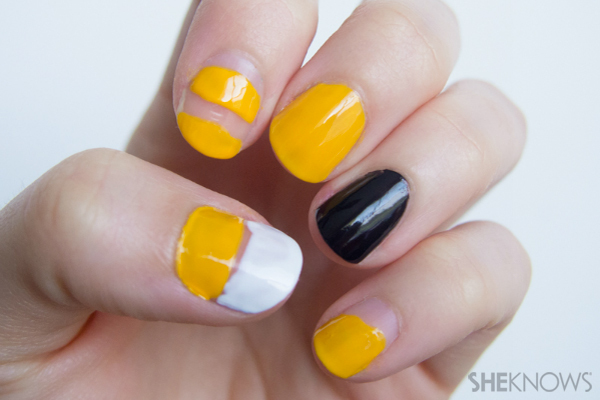 On the ring finger, dot some yellow over the white to make yellow dots (the white gave us a good base so the yellow shows up better). Next, finish the flowers on the ring finger and thumb. When the paint is dry, gently remove the tape. 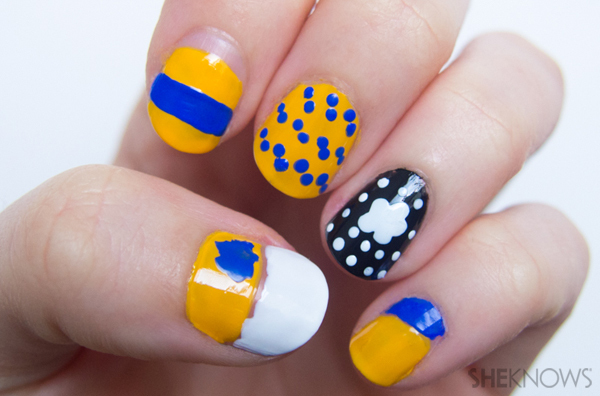 Make sure everything is dry and finish with a top coat.